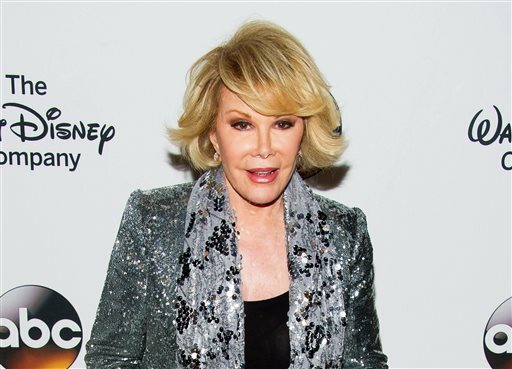 (The Telegraph)—The doctor who allegedly caused Joan Rivers’s death by performing a biopsy on her vocal cords took a selfie with the comedienne while she was under anesthesia, according to reports. The actress and acid-tongued comedienne died earlier this month aged 81 after spending a week in a medically-induced coma following a heart attack during throat surgery. It has since been reported that her personal doctor performed an allegedly unauthorized procedure on her vocal cords during a scheduled endoscopy that was intended to diagnose the cause of her well-known raspy voice. According to an unnamed source quoted by CNN, investigators believe the biopsy caused an inflammation of her vocal cords leading to cardiac arrest.